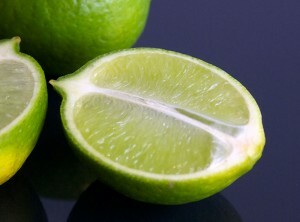 There are so many limes to choose from and each has their own unique flavour and best uses! 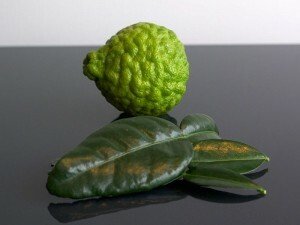 Two of the most useful which I grow are the Tahitian Lime – Citrus latifolia which is a good reliable producer even when grown in a cool climate and the Kaffir or Makrut Lime – Citrus hystrix – which is an essential for its lemon zesty flavoured leaves to use in Vietnamese and Thai themed dishes. 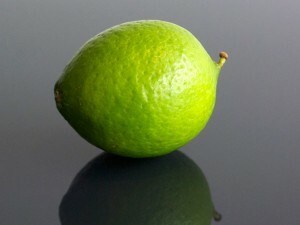 Sadly I have probably killed more Kaffir or Makrut Limes than any other citrus. They do tend to be very sensitive to cold and wind combined. You need to keep them out of the wind completely if you have any cool weather. Grown in a protected space near a wall for reflecetd or radiated heat they will do ok in a cool climate. I have taken to only growing mine in the upper Mountains in a cool glasshouse where they can stay fully protected from the wind. They grow well all year except during winter when they become almost completely dormant for several months in the cold. You need to be careful not to overwater or feed them during this time. On the other hand at Arcadia where the temperatures are significantly higher all year round the trees are growing successfully out in the open and with no wind protection at all. In the warmer climate they will grow to several metres high if they are not cropped heavily. They grow well in containers and a large container will support them in healthy growth if checked and repotted every few years and it makes them able to easily be moved to take advantage of any warm position you can provide them. They love the heat and direct sun. But they will also grow quite well in fairly shaded conditions. You can easily determine the quality by the colour and size of the leaves. Lots of fresh big dark green means they are liking the position. Oddly the only use of the word Kaffir that i have ever encountered in my life has referred to this Lime so I have never really understood why the name would be offensive to anyone. But apparently it is – so Makrut – which I have also no understanding of as a descriptive term or word – is the name I’m trying to teach myself to use for it. I have to say that the fruit itself is very intense in flavour and it is hard to work out culinary uses for it due to it’s unique acidic taste – a tiny amount goes a long way. I don’t really like the taste of the fruit very much but they look great. And it does give you an indication of how healthy the plant is when you see them form, grow and ripen – so it’s useful to leave them on for that reason. The condition of the fruit does help work out whether there is a water or nutrient problem. The Tahitian Lime – Citrus latifolia – can also be known as a Tahiti or Persian Lime and, oddly considering both these common names, appears to have originated from a cross found in the USA originally around the late 1800’s. The flavour of the juice is excellent and the amount that can be extracted quite high compared with the site of the fruit and the rind also has excellent culinary use. I have found these trees to be remarkably hardy even in fairly cold situations – as long as it’s grown out of direct wind when it’s cold. The tree can get to about 4 meters high and is a prolific bearer of fruit even from a small size. Production during the late summer and autumn period can be very high. They really just need a good feed of manure turned in to mounded mulch around the base of the tree about twice a year. And they do respond well to plenty of water when in full growth. I also use a very small amount of Epsom salts (magnesium sulphate) and iron chelates in a weak solution with water poured around the root area of all my citrus about once a year in mid winter to counter any nutrient issues. This seems to keep them green and avoid iron deficiency and other problems that can often occur due to the cold weather and make the leaves turn yellow. A small amount of yellowing in the leaves is expected when the weather turns cold and iron especially is harder to take up.